George Byron was born in Prescot in 1899, the third child of John and Mary Byron. In the 1901 Census the family was living at 7, Squires Place but by 1911 the Byron family had moved to 3, Victoria Street, Rainhill. His father John was a coal miner and his mother, Mary had been born in Knowsley. George had one sister, Edith living at home with him, two others had previously died. By November 1916, George was living at Parr’s Cottages, The Holt and enlisted into the army at St Helens, after receiving notice. He attested for military service in Warrington 28th April 1917 initially being assigned to the Depot Battalion of the South Lancashire Regiment for training. He was 17 years 7 months. At a later date, he was assigned to the 52nd (Graduated) Battalion of the Manchester Regiment as Private 63855. He had already served 17 days in the South Lancashire Regiment. On 9th March 1918 he was tried by District Court Martial at Great Yarmouth for “disobeying a lawful command given by his superior officer and sentenced to undergo detention”. George transferred to 20th Battalion Durham Light Infantry as Private 82384 at Etaples, France on 5th April 1918. 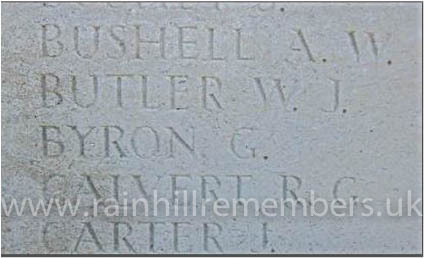 He was killed in action 25th October 1918. His parents were still at living at Parr’s Cottages and this is where they received a plaque and certificate to commemorate his life. 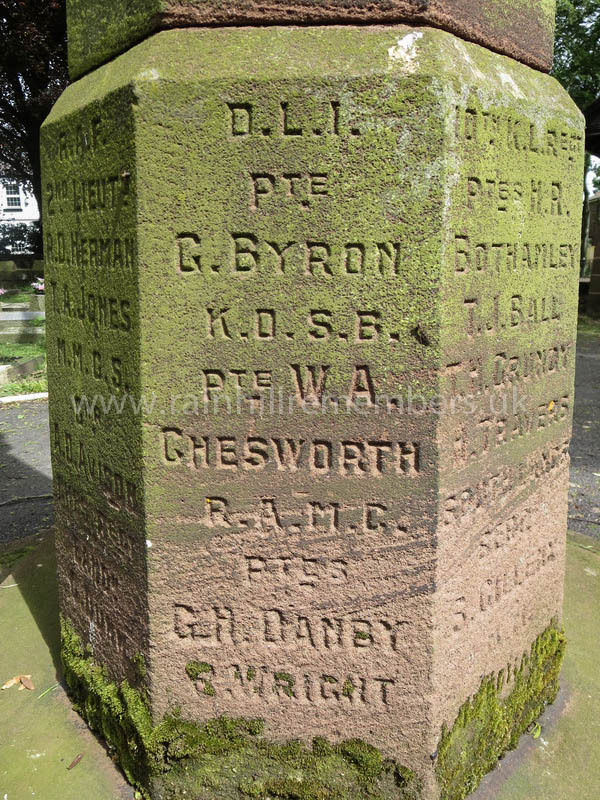 Private George Byron of the Durham Light Infantry is commemorated on the WWI Memorial in St. Ann's Churchyard. 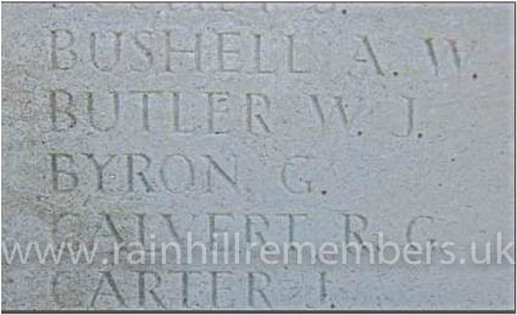 The name of George Byron is inscribed on the wall of Tyne Cot memorial.